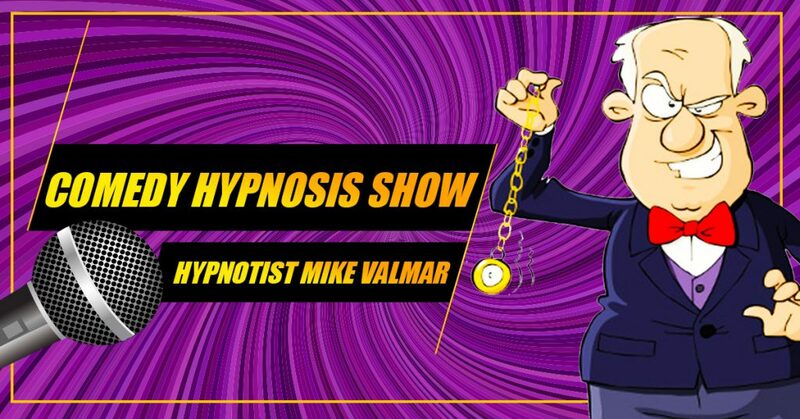 Mike Valmar is a certified hypnotist, instructor, and entertainer. Besides that, We believe we have the best comedy stage show anywhere. Because all our shows are interactive, and fun. We will never embarrass anyone, and always insure safety during all of our Comedy Stage Shows. Hypnotist Mike Valmar, will first explain what hypnosis is, and how it works. He will then do a simple visual test to see who is willing to be hypnotized. After explaining what will happen in the show, he will then call volunteers up on stage. After the comedy hypnosis show is complete, our certified Hypnotist will give positive suggestions to our volunteers. Positive suggestions like sleeping better, improved self esteem, and better study skills are usually chosen. This is our gift to everyone on stage for volunteering. We always strive for the best in customer care, because we listen to your needs. Therefore, we can tailor our show to your needs while guaranteeing a great time for all that attend. Comedy Stage Show withHypnotist Mike Valmar © 2017. Powered by WordPress, with Positive blog Theme.